Frank Gillett started Belgrave Roofing in 1967 on Belgrave Avenue in NDG. His desire to do the best possible job for his customers resulted in steady growth – building a solid business over the years. 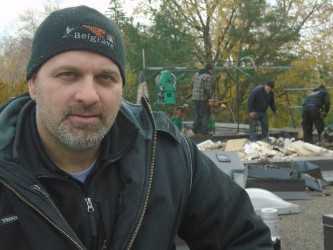 Another example of Brandon’s concern for quality is that when he felt that the roofing components – such as roof vents, piping and flashing – sold by building supply outlets were inferior, he bought the equipment and started to manufacture his own roofing accessories with the intent of improving quality and performance of these items. Today, Belgrave even supplies other roofing companies with these materials. Belgrave work crews are all made up of professional roofers who are union members and have.